These are lyrics by Dee Dee Sharp that we think are kind of nonsensical. 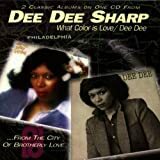 Dee Dee Sharp's, "When It's Night Time In Italy, It's Wednesday Over"
[Full song title is "When It's Night Time In Italy, It's Wednesday Over Here", but it wouldn't all fit in the space provided.] Night time at any given location on Earth corresponds with day time on the opposite side of the Earth. But there is no correlation between night time at any given location and what day of the week it is, either there or elsewhere! When it's night time anywhere and that's all that is specified, it can be any of the seven days of the week there or anywhere else!